Home Child Protection Does child protection guidance discriminate against disabled children? Safeguarding has become such an integral part of the language we use about children that it is hard to remember the days when the only children that needed this hyper-vigilant protection were those identified as being at actual risk of harm. Cases such as Victoria Climbié and Baby P have seen huge backlashes against social services that have in turn shaped the way that child protection services have developed. Both cases have seen inquiries and serious case reviews and by the time they draw to a close, someone always earnestly appears on the news telling us that this must never happen again. But, despite our increasingly suffocating child protection policies and the ever-growing lists of risk indicators, despite anyone who ever goes anywhere near children going on training courses where they’re told what they should be suspicious of, and despite the seemingly endless number of child protection experts offering all-day conferences on how to identify abusers and why you should never trust the parents, inevitably it always does happen again. With the numbers of children being referred to social services at an all time high, at Special Needs Jungle we have also seen a rise in the reports of families with disabled children finding themselves at the receiving end of child protection allegations when they have sought support, or disagreed with someone involved with their child. Freedom of information requests highlight that no one seems to be keeping a count of how many families are wrongly accused of child abuse, while research shows that lowering the threshold for referring children to social services is actually reducing the percentage of children who genuinely need help receiving it, isn't it about time that someone asks the question whether our child protection system is harming more children than it helps, with disabled children being the worst affected? How did we find ourselves living in a nanny state? Victoria Climbié's death and the public inquiry following it was largely responsible for the various changes in child protection in England that has seen every child become a child needing to be safeguarded. The changes included the formation of the Every Child Matters programme; the introduction of the Children Act 2004. It also created the post of children's commissioner, who heads the Office of the Children's Commissioner, a national agency serving children and families. The Children Act 2004 is responsible for the formation of the multi-agency Local Safeguarding Children Boards (LSCBs), which in turn are responsible for commissioning independent Serious Case Reviews and training member agency staff in safeguarding children best practice. The Act also places a duty on all agencies to make arrangements to safeguard and promote the welfare of children. It encourages agencies to share early concerns about safety and welfare of children, not based on any notion of child abuse, but on the basis of “a cause for concern”, that is not defined in the legislation. The new policy of “safeguarding” children had a much wider remit than just “protecting” children from abuse or neglect. This caused serious concern at the time, because it was seen as overly intrusive as it allowed for surveillance and intrusion well below the threshold where there was an actual concern of abuse. It also saw the framework for protection of children ‘suffering or at risk of suffering significant harm’ under section 47 of the Children Act 1989, and the framework for providing services for children 'in need' under section 17 of the Children Act 1989 being expanded to include all children in the 2004 Act. The 1989 legislation was very clear that until the threshold identified in section 47 has been reached, coercive measures cannot be used on parents who did not want to engage with social services. However, since the 2004 Act, successive versions of the statutory guidance ‘Working Together to Safeguard Children’ progressively eroded this boundary by enabling very low-level referrals based on theoretical risks. Social work assessments, therefore, risk assessed all referrals using the same assessment framework, regardless of whether or not the child was actually being abused or instead was a disabled child in need of additional services. Equally, all children were now placed in a category that could be referred, and so slowly we began to talk about children as though they all needed to be safeguarded, and 'experts' appeared happy to capitalise on our wish to comply with the legislation and the fear of being held responsible for failing to prevent a child's death. So why the haven't the reforms helped? It has long been forgotten that there were very good reasons that these reforms were criticised. Critics noted that there had been 70 public inquiries into child abuse since 1945 which similarly also led to reform policies—reforms that have not saved the many children killed following them. They pointed out that, "an average of 78 children are killed by parents or minders every year; a figure unaltered in the 30 years since Maria Colwell's death provoked the first criticism of 'communications failure'". They expressed cynicism towards the possibility that these reforms would be different. Dr. Chris Harvey, director of operations at Barnardo's, for example, said, "Victoria's tragic case is the latest in a sad roll-call of child deaths, each leading to fresh inquiries and a new but recurring set of recommendations". The subsequent death of Peter Connelly, known as Baby P or Baby Peter, in 2008, caused yet another inquiry and also a marked increase in the number of children taken into local authority care. In 2011 the government-commissioned a review of safeguarding practice carried out by Professor Eileen Munro in which Munro said: "A one-size-fits-all approach is not the right way for child protection services to operate. Top-down government targets and too many forms and procedures are preventing professionals from being able to give children the help they need and assess whether that help has made a difference." This prompted the government to propose changes to children's social care in its 2016 publication, Children’s social care reform: A vision for change. 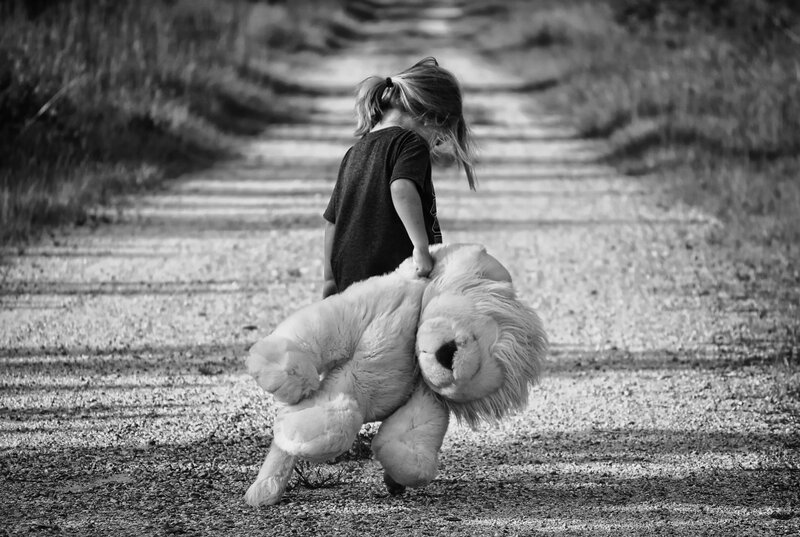 The suggested changes largely centre around the need for talented, well educated social workers by tightening up assessment and regulation of social workers' fitness to practice, but it does not address the fundamentally flawed assumption that identifying child abuse is as simple as identifying the right risk indicators to assess. So here is the problem. 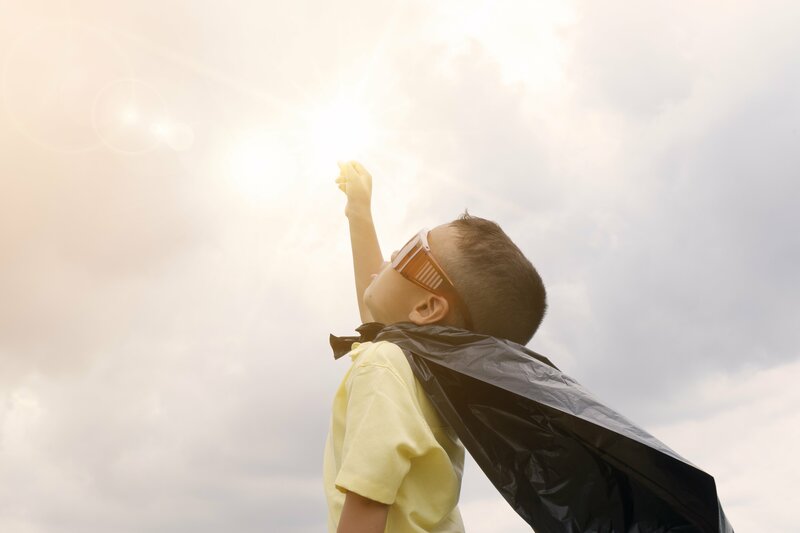 The child protection guidance operates on the assumption that serious case reviews help us identify abusers and those they abuse by finding 'risk characteristics' that everyone can be assessed by. Serious case reviews have been used to try to identify risk characteristics to screen out potential abusers, using an assessment process. But applying findings and recommendations relevant to the most serious cases to all cases is hardly a robust evidence-based approach. Yet since the 2004 Act, each year many tens of thousands of families are assessed based on "risk characteristics" because they have made a simple request for services. That means that families with disabled children are subjected to the same child protection investigation and risk assessment as a family who is suspected of abusing their child. So what we have created is an overwhelmingly defensive approach to risk that is not based on sound evidence and directly discriminates against disabled children. But surely such measures mean that fewer children are harmed? Indeed, it seems that exactly the opposite is true. In Devine's recent review of child protection and safeguarding trends, there seems to be a stark difference between the NSPCC’s estimate of the prevalence of child abuse in England and the actual amount of child abuse, (risk of, or actual significant harm) detected in referred cases. Rather than leading to a proportionate increase in the level of child abuse found in referred children, the numbers have dramatically fallen. The ratio of detection has dramatically altered as policies driving increased referrals have grown, falling from 24% in 1991-1992 to 7.4% in 2013-2014. These ratios are not explained by early intervention as these numbers refer to families before intervention occurs. “We are now at a situation where up to 5% of all families are now referred for assessment every year." Devine tells us, "The vast majority of those do not injure or seriously harm their children, but government policy requiring risk assessment at quite a low threshold means that rather than feeling supported by social services, some families now feel fear.” Studying these assessments, she found them remarkably inefficient at predicting who is going to kill or seriously hurt their children. Therefore they are not only a bad use of resources, but may actively put other children in danger. Yet the government continues to cut resources whilst encouraging guidance that drives an increased number of referrals each year. It's simply not sustainable and arguably has created a system where social services are pushed beyond their limit and child protection causes more harm to children and families than it helps. 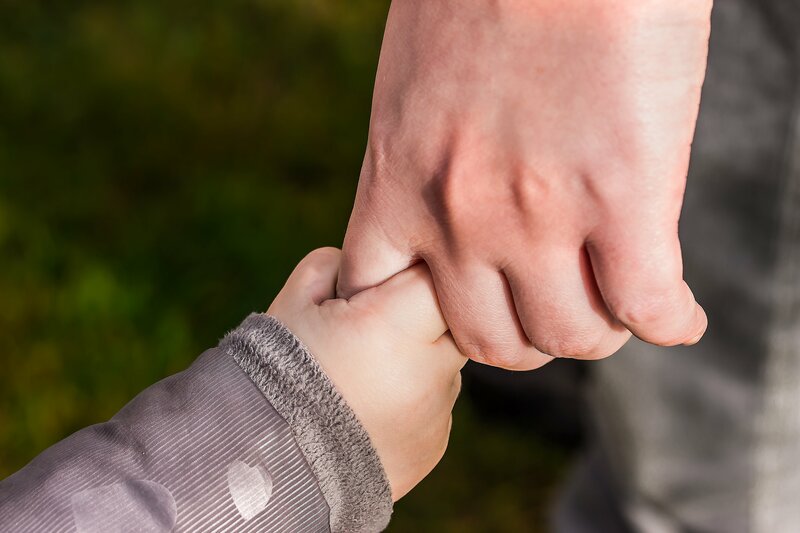 At Special Needs Jungle we are very aware of the increasing numbers of parents who find themselves subjected to child protection procedures as a result of asking for support, challenging professionals or having a child with a condition that someone working with them does not understand. Tania and I have already spoken openly to ministers, journalists, child protection experts, medical experts and parents about our concerns surrounding the anti-parent language used in publications and guidance around child protection and the lack of adequate monitoring and accountability for safeguarding personnel. We have also raised concerns about the lack of evidence supporting much of the guidance published by the government, as well as numerous journal articles listing ‘risk characteristics’, such as a parent asking for a second opinion or disagreeing with a doctor. Also concerning is the focus of safeguarding training encouraging practitioners to rely on lists of risk indicators that have had no rigorous independent scrutiny or any fact-based evidence to support them. Given the heavy price that parents and children have to pay when practitioners follow these guidelines and get it wrong, we simply cannot understand why no one is demanding the same rigorous scrutiny and quality control as we expect of the scientific community. As a result of our concerns, we are now actively involved in trying to influence the people who are responsible for writing the child protection guidance that is causing ongoing problems for families with disabled children. We registered as stakeholders in order to respond to new guidance on 'soft' signs of child abuse and neglect that NICE was producing. 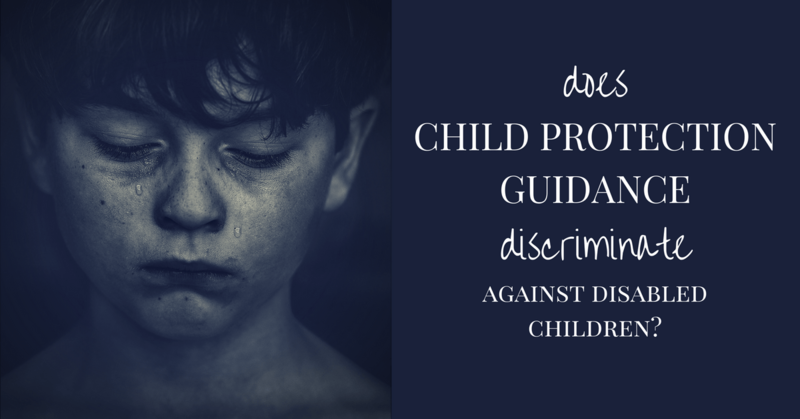 This guideline on handling and responding to abuse and neglect caused us serious concern that it was directly discriminating against disabled children and their families, and would lead to specific developmental disorders being targeted. We believed that the evidence gathered, including the testimonies of expert witnesses, was not representative of all the people on whom these guidelines will impact. For example, it fails to properly explore the likelihood that these guidelines will be applied in error and what the unwarranted consequences of this might be to children and their families. The evidence search also failed to properly explore the consequences and possible harm that could be caused by incorrectly accusing parents of abuse and the expert witnesses and committee members did not include any experience of childhood disability and its presentation and did not invite input from experts dealing with false allegations of abuse. We were pleased to see that NICE took on board all our requests to reword large parts of the guidance to ensure that practitioners were aware that these signs also were indicative of disability. But it seems like a drop in the ocean when you step back and look at the bigger picture and see the families who are already struggling at the mercy of child protection procedures that can be wielded by practitioners without any fear of consequences. So why aren’t the government and NICE taking on board the evidence that current safeguarding guidance is a flawed system? Why aren't safeguarding outcomes audited? Why are self-proclaimed experts teaching practitioners to suspect parents based on signs that have no factual basis? And why, when services are at breaking point, are we resorting to repeating the same approach that has actually meant that fewer abused children are protected and more children from loving families have harm inflicted on them? Isn't it time we stopped being so scared of having an open and honest conversation about child protection? Isn’t it time we stopped demonising all parents, and stopped putting child protection 'experts' on untouchable pedestals? There are people out there who do things differently, and you know what... it works! In New Zealand their belief is "that in the right environment, with the right people surrounding and nurturing them, any child can, and should flourish", and they do because their social services focus on supporting parents rather than criminalising them. Closer to home in Leeds, they have brought about a huge culture shift offering “family group conferences”, to which parents can invite anyone they feel would be willing to support them. The professionals, who are in the minority in the meeting, then outline their concerns and then leave the group to come up with practical ways to support the parents. They have a 98% success rate in keeping children who would otherwise go into care, with their families. The one thing they do differently? They focus on raising the children's wellbeing, by remembering the importance of family, not by dragging parents through a system that leaves them broken, ostracised from their community and with no trust for the people meant to be looking after them. It is time to change the way we communicate about how to protect children. When a professional points their finger they are going to forever change the relationship that the family has with the people around that child. Even if the professional is outrageously wrong and there is a wealth of evidence that there is no blame on the parent, that accusation is never lost from the system, the doubt is never far away. It is the most terrible thing to be accused of as a parent, and the weight of the accusation should not be lost because we hide behind the pretence that we are acting in the best interests of the child, because we are not. When you accuse a parent, you are taking away their ability to advocate for their child. You are removing and discrediting the best source of information you have about how to help the child. You are taking away the expertise of the person that knows them the best. This is not in the best interests of anyone. So let's stop repeating the same mistakes and learn from best practice rather than guidance that tells us to ignore our instincts and use an assessment tool that is no more accurate than rolling a dice. Let's approach child protection from a position of kindness, compassion, and communication, then all the money we save by not overwhelming social services with pointless assessment referrals, could be ploughed back into supporting families and helping give children positive outcomes rather than dragging families through the dirt and then blaming them for being too broken to cope. We'd love hear about your experiences and ideas on what good practice in child protection looks like. It’s often the child causing the harm to the parents and siblings- not the other way round so it makes no sense whatsoever. It’s just a crude fudge that has catastrophic effects for the family caught up in it. It’s inherently unjust. Wielded as a threat by professionals to stop parents asking for help or trying to make professionals accountable for failing a child. They need to spend more time supporting families instead of protecting a budget ( let’s face it that’s their real ‘job’)! How many times have you heard ‘ i asked for help but they said i didn’t meet their guidelines’. If you need help you need it but if you don’t tick all of their boxes it’s sorry not sorry, struggle on! An excellent article thankyou. I hope your involvement makes a difference. Yes, by definition they are CIN. So a child with a disability is CIN but others are not. Have a look at the 7 minute wheel for your LA Safeguarding! Looks St baron Cohen research. 1 in 5 families with an autistic child are investigated, of those, 1 in 6 has their child removed. Special Needs Jungle Thats not the point I was trying to make. It’s a very difficult situation especially when you have a non verbal child with severe learning disabilities and challenging behaviour. We have been referred on two occasions due to unexplained marks but fortunately my daughter is well known to lots of professionals and has displayed her behaviours in front of them. It was upsetting for us as parents but unfortunately many children with disabilities are abused and can not speak out. Not just physical but mental abuse. We are lucky and have a great social worker and they do put in Emergancy respite and have regular respite. I know not everyone is in the same situation. They are not in an easy position as if something had or did happen then they would named & shamed and placed at fault and in worse case scenario put a child’s life at risk. Brilliant article, such a vitally important one. This needs shouting from the rooftops, the current system starts from the premises that child abuse should be suspected everywhere. That baseline concept is taught right down at local safeguarding training everywhere and is an insidious comment on the society we find ourselves in. Demonising parents helps no one, least of all children and puts professionals in a dangerously untouchable position where they are less able to see, let alone meet a child’s needs. Am sharing everywhere, thank you for writing! Much of the guidance relies on the premise that all practitioners are infallible and not influenced by cowardice, ignorance, anger, selfishness or malice. Statistically you have to assume that there will be as many professionals working with children who have less than angelic motivations as there are parents, but this is not acknowledged, or accounted for in the recommendations. Planet Autism submitted detailed information to this consultation also. What I noticed is that all the common-sense concerns from Planet Autism, SNJ, Parents Protecting Children and AIM, were only cursorily taken notice of by NICE and the other comments submitted ALL ignored this issue and praised the guidance largely. Even where NICE inserted that neurodevelopmental conditions should be considered, they still had a rider that abuse should continue to be considered also. It went nowhere near protecting innocent families and the new guidance on so-called soft signs of abuse will harm even more families. This is why when parents go to SENDIST, or request educational support they are so often targeted. I agree that the changes did not go far enough, but the point of the piece is that the premise underlying the guidance is what needs to be changed. It is flawed, proven not to work and there are models out there that are family focused and more successful. I agree with you that it’s flawed. This is why I made the point that the Government has known about it for 26 years, hence it is deliberate. The Government has shown it targets vulnerable people for monetary purposes by what’s gone on with DLA/PIP, ESA etc. and this is no different. Of course child abuse exists. But what we are talking about is innocent families deliberately targeted. Autism families are being deliberately targeted due to the associated costs of support. If law firms are even commenting on it now that speaks volumes. The amount of families I have liaised with and networked with colleagues in other support forums and communities and we all see huge amounts of ASD, CFS/ME, EDS etc. families being falsely accused. The guidelines are written the way they are on purpose. Autism traits were not written as these so-called soft-abuse signs accidentally. It’s screamingly obvious what’s going on. Everyone needs to wake up and smell the coffee. Good article. My son has complex needs including Epilepsy, Cerebral Palsy, ASD and learning disabilities. Please don’t just assume that abuse happens in family homes. When my son was 11 years old, wearing clothes for a 7-8 yr old he was subjected to the abusive use of restraint by teachers and support assistants in his “special” school. He is one of hundreds of children with disabilities who are injured every single day by staff in the name of “education” yet Police and Child Protection fail to see this as “abuse”. I know of one particular case where a member of staff in a school was videoed taking a severely disabled child to the floor, dragging him by the ankles long the floor, kicking the child then when the child tried desperately tried to get away from this abuse by “bum-shuffling” she put this non-verbal, BLIND child in a headlock restraint and tried to pull him off the floor by his head! There were 5 witnesses in court. There was absolutely no doubt that she did it yet she walked free from court because the prosecution could not prove “intent”. I have been campaigning for years about the abusive treatment our children are getting in some schools, and I keep being told “disabled children have extra protection from cruel and inhumane treatment” but the evidence is quite to the contrary. Its as if our children have no rights, ESPECIALLY if they have any kind of behaviour described as challenging (and we know that all behaviour happens for a reason) Police have no interest in taking any “professional” to task, yet if parents abused their child in this way, we most certainly would be held accountable. Surely the law is the law- why are parents held to a different standard of accountability? This woman is training professionals and giving talks about abuse and FII all over the show. What she says above flies in the face of what the court stated. So if you punched a random someone in the face for no reason, would the police or courts say that because no motive could be established that you wouldn’t be charged or prosecuted for assault? If I stole something and said I didn’t mean to, hadn’t realised I’d done it, wasn’t on purpose, does that mean I didn’t steal it? Professionals are human, they are not some different breed. Allegedly disabled children are more prone to being abused, so why does that premise exclude professionals? It doesn’t. Assault is assault. Child abuse is child abuse. How is it a different family member abusing a child is still classed as a child abuser even though they are not the parent. You might find it interesting to note that when a child alleges a professional has abused them, it’s classed as an allegation but when a child alleges a parent has abused them it’s classed as a disclosure, as if it’s automatically true. Speaks volumes. People should persist with filing police complaints, suing professionals/schools etc. There is the IPCC as well. Of course the media too. This bit really jumped out at me ‘applying findings and recommendations relevant to the most serious cases to all cases is hardly a robust evidence-based approach’. It’s as if common sense has disappeared, to be replaced by general mistrust and stupidity in some cases. A sad state of affairs, which I think will be prompting many to not ask for help they desperately need for fear of crazy actions. There is a huge issue here that you have touched upon that I didn’t cover in this piece simply because of its complexity and the vast amount of issues surrounding it, and that is the Family Court. Given that the consequences of child abuse allegations are worse that the death penalty for most parents, the fact that parents can be found guilty on the basis of hearsay evidence, that with adoption being rushed through they often have no time to provide proof of their innocence and that there is no assumption of innocence and therefore no need to prove guilt beyond reasonable doubt, means it is an unjust and unfair system. With CP ‘experts’ also stating that practitioners should only consider returning children to parents who admit their guilt and we are right back at the witch trials where the woman would have to drown to be found innocent. Fabricated or Induced Illness (formerly known as Munchausen’s By Proxy) and the guidance surrounding it is probably the most worrying of all the lists of risk indicators I’ve studied and it deserves an article all of its own. I think the solution requires someone with balls of steel and powerful enough to take on the whole system, including those invested in making the current system work, and assessing it based on outcomes. That will require the reporting of all intervention, including the incorrect reporting of abuse and the consequences. I think it’s only when we can prove that current child protection guidance causes more harm than it prevents will we be able to implement a system that works on supporting families and children. I don’t tweet or use facebook so please tweet etc if you think of value. Yup. We’ll be contributing to that!